*Walking to work during the "Rush Hour" of pedestrians--I play a game with myself to see how many people I can pass or squeeze by before I get stuck behind someone or a light. 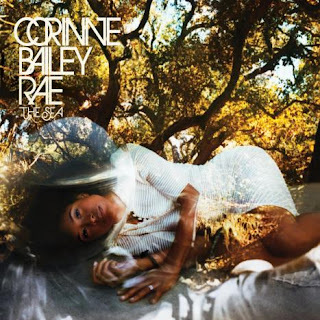 *The new Corrine Bailey Rae and Norah Jones CD--such a great new addition to my ipod. *The slightly frizzy hair & pale skin combo--saves money and time not having to hit up a tanning bed or the extra 10 minutes it takes to straighten my hair. *Paperchase-It is a 3 story floor right down the street from my work that is full of beautiful cards, wrapping paper, books, journals, a majority covered in dainty and floral prints! Incredibly dangerous, because mostly every item in there is nothing I need but EVERYTHING I WANT! *Being able to buy a bottle of wine legally after a hard day at the office, I am really becoming quite the conseviur--on the cheapest four pound wine I can get haha. *The rare glimpses of sun, usually between snowfall that makes me realize how happy sunshine makes me...I can not wait for spring, however it may be a while. *Knowing that a majority of my friends have crossed the pond safely and now are on the same time zone as me! So convenient! LOVE AND MISS YOU ALL, CHEERS FROM LONDONTOWN! !